Several sources indicate UMass has offered to Justin Williams, a 6-0 170 pd S from Treasure Coast HS in Florida. Rivals rates him as a three-start recruit and says he could play CB or S.
First team All-Area as a sprinter. Besides UMass, Williams holds offers from Florida International and South Carolina. Athlon Sports analyses the Big East schedule and says UMass shouldn't be any trouble for UConn. Yesterday, I had a recruiting post about JUCO K/P Colter Johnson signing with UMass. Here's another mention of his commit. A Bleacher Report slide show has the "most important player" on all 126 FBS teams. Perry McIntyre gets the nod for the Minutemen. BTW, McIntyre was the second leading tackler for UMass in 2011. Former UMass player and current Texas Tech offensive coordinator Neal Brown has embraced Twitter. Georgia State will be joining the CAA this year. It looks like their stay may be short. 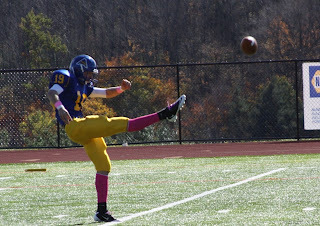 UMass has signed Colter Johnson, a 6-5 195 pd JUCO K/P from Alfred State College. Johnson was an honorable mention All-American in his freshman year. Matty V. has a story with various news about UMass football. Coach Molnar and the Minutemen will be active in a number of community events. The Boston Globe has a story about James Ihedigbo's Football Invitational. Besides UMass, Ball State is the only other MAC team not to play a FCS game. 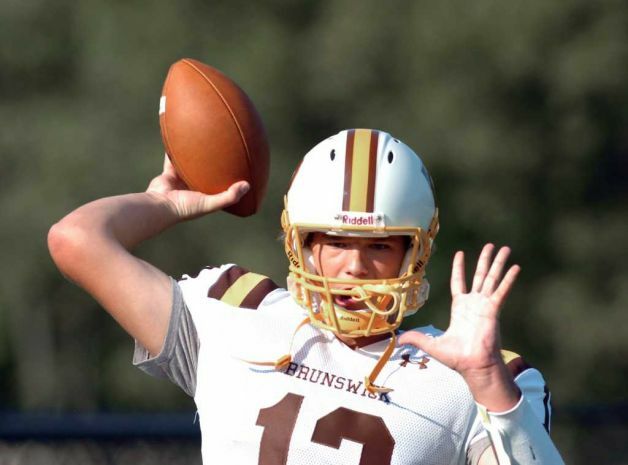 The BC blog says how about a spring scrimmage between UMass and the Eagles? Not sure if something like this is allowable under NCAA regs, but a spring scrimmage between UMass and another FBS team would be interesting as long as every other year it would be a McGuirk. UMass student and former UMass dance team menber Siobhan O'Keefe is trying out for the Pats cheer leading squad. I watched Stanford crush Minnesota in the NIT championship game. Stanford was up by 30 with a couple of minutes to go. UMass basketball has nothing to be ashamed of in their effort in their last game. The MAC has released the composite football schedule for 2012. 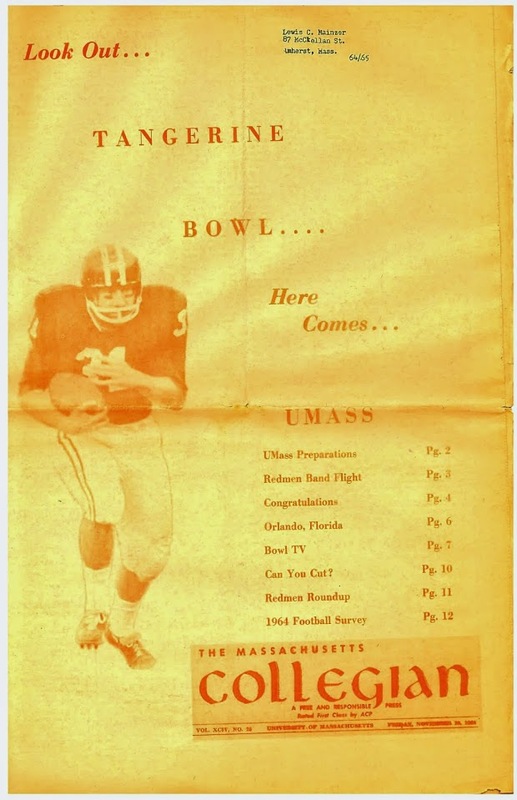 UPDATE: The UMass website has a post on the 2012 schedule. UMass gets a possible national TV game on ESPNU/ESPN3 on Friday night, November 23rd. Whew! Impressive start to our FBS journey. What--maybe five to six bowl teams in the first nine games? One of my favorite mixes when I lift weights: Metallica's "Jump in the Fire". Turn your computer speakers all the way up! 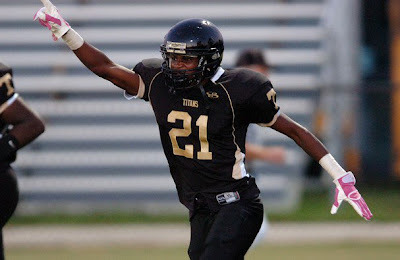 Several sources say UMass has offered to D. J. Juste, a 6-1 185 pd Athlete from Port St. Luchie, FL. 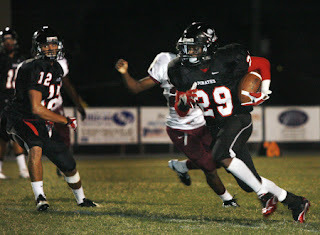 He had 390 yards of total offense and 4 TD's in one game last year. Juste holds offers from Northern Illinois, Florida Atlantic, Georgia Southern and Georgia State. Matty V has an article on the momentum that UMass Sports are gaining. The Bobcats and Eastern Michigan will travel to Mullins and the Minutemen will play at Miami-Ohio and Northern Illinois as part of the new annual four-game Mid-American Conference schedule commitment that comes with joining the league in football. Several sources have Ohio's John Groce moving to Illnois. Counting UMass, UConn will play three MAC teams in 2012. A UMass player (not named) took part in Merrimack's first ever Pro Day. Former UMass graduate assistant Paul Ferraro has been named defensive coordinator at Maine. 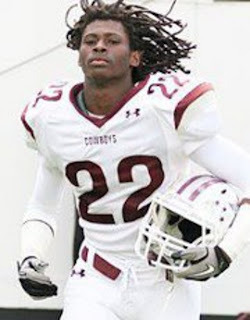 Rivals.com reports UMass has offered to Shedrick Williams, a 5-11 169 pd CB from Madison, FL. Williams also has offers from Arkansas, Florida, Louisville, Mississippi, South Florida and Western Kentucky. Jeff Thomas has an article on UMass' first spring practice. Note that the story mentions 80+ players, while there are 68 listed on the spring roster on the UMass website. Matty V. said the Minutemen had a second chance to make a first impression. WEEI mentions Emil Igwenagu as an under-the-radar prospect for the Patriots. NFL Mocks.com has a page on Igwenagu with the Combine stats. Bleacher Report has nine pages on former UMass football cheerleader Jenny Dell's replacement of Heidi Watney. Former UMass assistant coach (1992) Bobby Erhard is now running backs coach for fellow MAC member Western Michigan. Speaking of the MAC, SB Nation says the MAC football schedule should be out this week. Mrs Blog and I already have two away games planned. We'll drive down to Rentschler Field to see the UConn game. We already have reservations to visit the Music City to see UMass play Vanderbilt. NIU currently has the longest active win streak in FBS football. The Huskies have won fifteen in a row at home. Congrats to UMass hoops for a great season. The future looks bright for the Minutemen. Victor Cruz and Coach Molnar were at the Garden to watch UMass play last night. 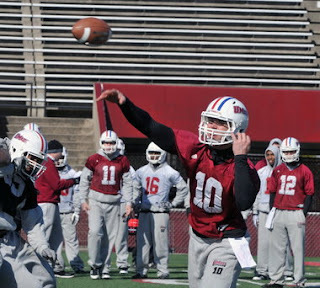 Matty V. has an article on the first day of spring practice for the Minutemen. Twelve offensive linemen is not a large group for a FBS team. There were four OL on this year's recruiting list. 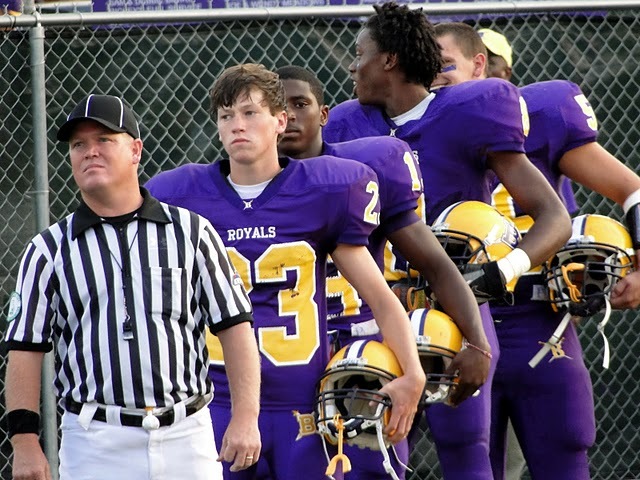 BCS officials are trying to get their heads around post season play. Good luck to UMass hoops at the NIT Final Four tonight. Matty V has a couple of articles on the UMass-Stanford matchup. This article by Marty Dobrow of ESPN brings back some memories of UMass basketball. Yesterday, we talked about graduation losses for the UMass offense. Today we look at who's returning. Our opening OOC opponent UConn has five BCS transfers this spring. UMass' great run the the NIT continues tomorrow. The A10 took a hit when Temple left. The league needs to reststock and VCU, George Mason and Butler are in discussions to join the league. ESPN reports UMass is interested in Brandon Lavia, 6-0 200 pd QB/P from Harrisburg, PA.
Lavia is drawing interest from Boston College as well as a number of FBS and FCS schools. UMass spring practice starts Tuesday, March 27th. Let's look at who has to be replaced.The Minutemen graduated 15 seniors. 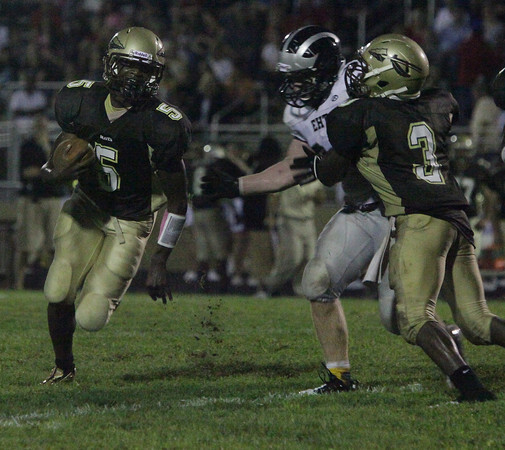 The seniors comprised the majority of the offensive production. That's 198-2311 11 TD's total receiving production. All receptions totaled 221-2560 13 TDS. UMass lost 89.5% of receptions, 90.2% of the yardage and 84% of receiving TD's. Emil Igwenagu TE 4-7 0.6 yards game. Total rushing production of the seniors was 313-1549-16 TD's. All UMass rushing was 404-1761. In 2012 UMass will have to replace 87.9% of rushes, 87.9% of the rushing yards and 84.2% of rushing TD's. Team totals 16-124. 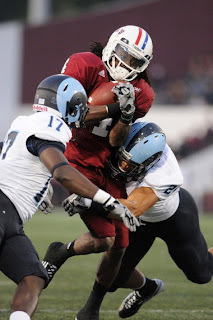 UMass will have to replace 100% of the punt return yardage in 2012. Total kick returns 54-1061 2 TD's. In 2012 the Minutemen will lose 62.9% of the returns and 77.0% the kick return yardage. Coach Molnar and staff will need to find a lot of productive replacements on offense this year. Rene Ingoglia and Steve Schubert have been named to the College Football Hall-of-Fame ballot. The College Football Hall of Fame's move to Atlanta has hit a significant snag. UMass has announced the dates for the 2012 summer football camps. A day at Gillette is among the choices. Meanwhile, Villanova tries to recover from its failed attempt to move to the Big East. With Navy's entrance (to the Big East) in 2015, the conference will have an odd number of teams at 13, so it seems assured the conference will add another member in the future. Temple thinks it's ready for the Big East. ESPN has reported that UMass has offered to John Montelus, a 6-5 293 pound OL from Everett, MA. Besides UMass, Montelus has double-digit offers from BCS schools. UMass football gets a it's first FBS-level preview from SBNation. The writer does a good job with limited applicable information. Since we had a losing season in FCS, it's tough to predict how ready we are for the MAC. Like the author, I think Coach Molnar has made a good start on the transition. We'll know in November how much further we need to go. The MAC blog "Hustle Belt" reacts to the SBNation article. Matty V reports (at the end of this article) Victor Cruz tweeted he'll be at the UMass-Stanford game at Madison Square Garden. Former UMass A.D. Ian McGraw is enjoying success at Baylor. Despite the current conference realignments, the Utah Attourney General is continuing his suit against the BCS system for anti-trust reasons. 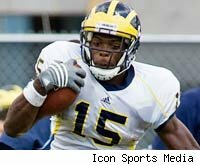 I've blogged about Michigan transfer Michael Cox before. 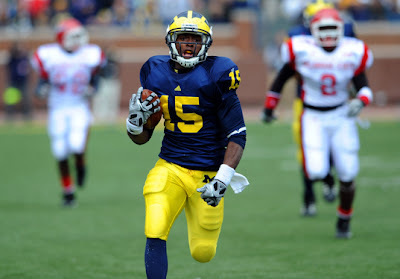 Wolverines blog "Maize and Blue Nation" has a blog post on Cox's transferring. I was looking at the 2012 Spring Roster. Seventeen (by my count) underclassmen who were on last year's roster do not appear on this one. Most of the juniors probably graduated because they had a redshirt year. Some of the losses are probably scout team members. Eight UMass football players took part in Boston College's Pro Day. Boston.com says Julian Talley opened some eyes. Mike Leach proposes a 64-team college football tourney. The article has a link to a hypothetical 2012 bracket that includes three MAC teams. ESPN says UMass has offered to Peter Ngobidi, a 6-2 220 pd DE from Catholic Memorial in West Roxbury, MA. More on Victor Cruz's big business move. CBS Sports looks at hard times for fullbacks and mentions Emil Igwenagu. Phil Steele also has Emil as the #2 fullback in the draft. Our first FBS opponent UConn doesn't know who will be quarterbacking for them either. The Blog and Mrs Blog almost pitched an aneurysm during the Minutemen's 17 point comeback against Drexel last night. Bruiser Flint says UMass refused to lose. Matty V says UMass' win was memorable. Philly.com says UMass earned admiration. Few have shown more heart in adverse settings than the Minutemen which is why they have extended their season. 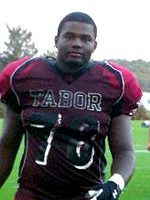 ESPN reports UMass has offered to Tevin Montgomery, a 6-4 290 pd DL from Tabor Academy (MA). Montgomery hold offers from Boston College, UConn, Rutgers and Temple. Two more stories about 6-6 QB Todd Stafford verbaling to UMass. I blogged about Stafford last Saturday. New ESPN article about Stafford here. Matty V chimes in here. The Spring UMass football Roster is up. The new coaches bios have also been added. Victor Cruz has a new contract agent. Vanderbilt, on our OOC schedule for 2012 is starting spring practice. A website called Drafttek has Emil Igwenagu ranked as the #8 fullback and the #20 ranked TE in the NFL Draft. UMass basketball plays tonight a 7:00 pm on ESPN. Ron Chimelis says the Minutemen are looking for another happy ending. 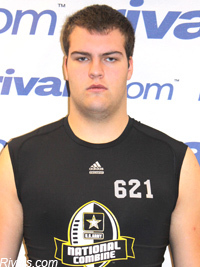 Various sources say UMass has offered to Jake Kennedy, a 6-4 280 pd OL from Amherst, NH. 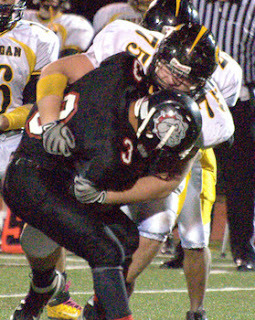 New Hampshire football report has the story here. New Hampshire Note Book also has the story. Matt Vatour has a story about Michael Cox the Michigan running back transferring to UMass. I did a blog post on Cox yesterday. SB Nation Detroit also has a mention of Cox's move. This story on Bleacher Report says the 2011 NY Giants story was all about Eli Manning and Victor Cruz and talks about Victor's 99 yard TD against the Jets. UMass' first official FBS game will be against UConn. The Huskies start their spring practice tomorrow. Did I mention the Jacksonville Jaguars signed Jememy Cain to a contract back in February? UMass has added a transfer from Michigan. 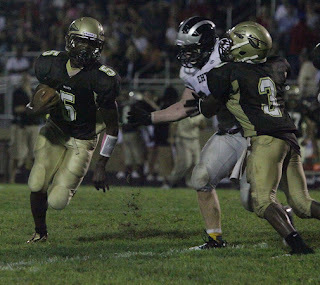 Michael Cox a 6-0 214 pd RB from Michigan has announced he'll transfer from the Wolverines. Cox is originally from Dorchester, MA. ESPN article on Cox transferring here. The Detriot Free Press mentions his moving to UMass. Cox received limited playing time with Michigan, but when he did, he averaged 8.9 yards a carry. Cox will be in grad school at UMass. I've blogged a number of times about UMass recruit Trey Dudley-Giles. 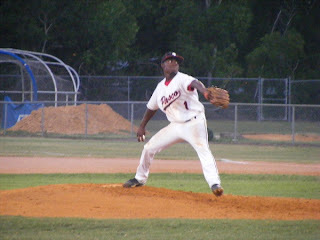 He's a pretty good baseball pitcher too. I totally missed one wrinkle on the new NCAA kickoff rule. If the kicker booms the kick through the endzone, the ball is placed on the 25 yard line not the 20 like it was previously. This article covers Oklahoma coach Bob Stoops covers the possibilities of the various trade-offs of the new rule. Now realignment hits college hockey. We've talked a couple of times here about the synergy of college football and college hockey. Now that the Big 10 Conference is up and running, it will, in my opinion, quickly become the 600 pound gorilla of college hockey because of the Big 10 Network. The national TV exposure should give the new Big 10 league the most financial resources of any hockey league. Congrats to UMass hoops. They're one game away from the NIT Final Four. The Boston Herald says the Minutemen are the men of the hour. The NY Times says UMass is surging. 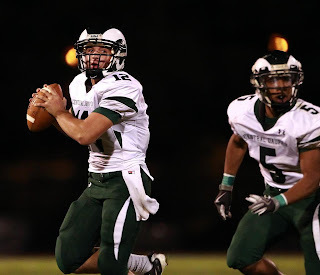 Rivals.com report that Todd Stafford, a 6-6 240 pd pro-style QB from Greenwich, CT has verbaled to UMass. AFAIK, Stafford is our first ever Junior commit. ESPN shows Stafford on its UMass page. Scout.com has a story on his verbaling to UMass. "I went up there for the junior day that they had at Gillette Stadium," said Stafford. "That's where they're playing their home games. Both times I've gone up there I've gotten great vibes from the coaching staff and the direction the program is heading." UMass is Stafford's only offer so far, but BC, Duke and Miami have shown interest. 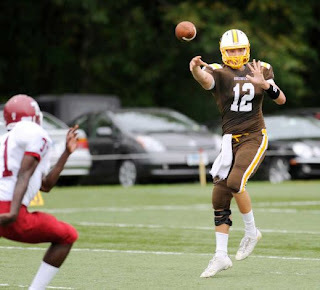 Roger Brown of ESPN Boston says Coach Molnar is making a splash in New England recruiting. Interesting stuff. If UMass is to succeed at the FBS level, we need to recruit. I am impressed with the level of energy that Coach Molnar and his staff have showed since their arrival. Upwardly impressed. New England develops enough FBS players so that UMass can have a significant portion of the roster from this area. If you look at the rosters from Coach MacPherson's era, you'll find a large number of the players were from Massachusetts. Many of those players would be considered FBS-level kids today. South Carolina RB Kenny Miles is a fith-year graduate senior (which means he could play right away for another team) may be on the market to transfer. Miles led the Gamecocks in rushing in 2009. Mocking the Draft looks at the success some undrafted players have achieved in the NFL. Don't forget UMass hoops at 11:00 am EDT. Go UMass! Rivals.com says UMass has offered to Rashad Kinlaw, 6-2 185 pd athlete from Galloway, NJ. Kinlaw runs the spread offense. Kinlaw holds offers from Boston College, Iowa, Notre Dame, Rutgers and Temple. Today is a light news day for UMass football and gridiron news in general. However, recruiting news continues to come in. Vegas Insider has at Victor Cruz 12-1 to appear on the cover of Madden 2013. Vegas also has UMass +7.5 against Seton Hall. The Pats are working to sign free agent James Ihedigbo. ESPN's Patriots blog says Ihedigbo fits. Jeromy Miles has another free agent contract with the Bengals for the 2012 season. Rivals.com says UMass has offered to Janarion Grant a 5-9 165 pd WR from Dade City FL. This article mentions UMass' offer. Grant was Co-Suncoast Player-of-the-Year with UMass recruit Trey Dudley-Giles. Grant holds offers from Bethune-Cookman, UConn, East Carolina, Rutgers, South Florida and Western Kentucky. Good morning on the Ides of March. The Kansas City Examiner says Emil Igwenagu is the best fullback in the NFL Draft. This draft webpage has Emil as the #12 TE in the draft. Victor Cruz meets his fans. Temple, which I believe did not beat a MAC team with a winning record, returns only 9 starters for their first year in the Big East. The owner of the Pittsburg Power arena football team fired the entire team during a pregame meal at Olive Garden. UMass-Seaton Hall is sold out. 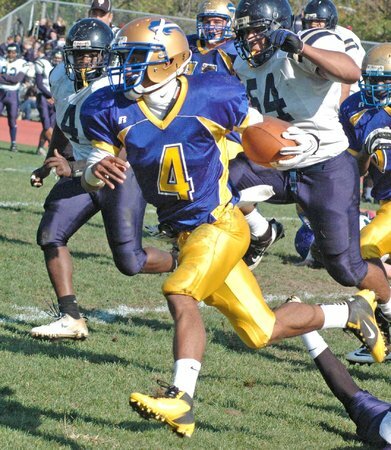 Max Preps says UMass has offered to Anthony Averett, a 6-1 175 pound athlete from Woodbury, NJ. Besides UMass, Averett holds offers from Alabama, Rutgers, West Virginia, Temple, East Carolina and Syracuse. RPI has a feature story about Guido Falbo being named interim head coach. Falbo was an assistant coach at UMass from 2004 to 2010. Former UMass star Peter McCarty has been named defensive line coach for Fordham. I've blogged about McCarty several times before. Our new MAC conference mate Ohio is one of only five teams to win 10 or more games in football and 25 or more in basketball in one season. New FBS team Texas-San Antonio and Charlotte (which may be leaving the A10) are leading candidates for the Sun Belt. Mississippi State lost to UMass and Renardo Sidney quit the Bulldogs in one night. 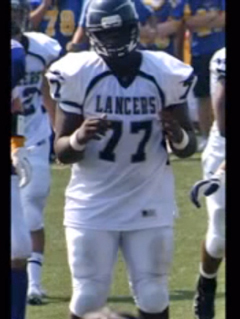 Thanks to Nick Baker for pointing out to me UMass is interested in Tommy Hopkins, a 6-6 282 pd OT from Thornwood, NY. "I'm going to the Duke junior day at the end of the month, as well as visiting N.C. State and North Carolina that weekend," said Hopkins. "On my spring break I'm going to Penn State, UConn, UMass, BC and Temple. Then I'm going to Syracuse for their spring game. I'm also visiting Buffalo in a few weeks and probably Rutgers and Virginia at some point." Matty V has an article about UMass long snapper Travis Tripucka at the UMass Pro Day. YouTube Video on the UMass ProDay here. Blogger won't insert it for some reason. The ESPN New England Patriots Report has a story on the event. Julie Julmiste ran a 4.47. Josh Samuda did 30+ reps on the bench press. ESPN's Notre Dame blog says Irish ties abound in Coach Molnar's staff. Temple is looking forward to BCS perks. Could UMass pick up some senior players from North Carolina now that the NCAA has dropped the hammer on the Tar Heels? The Atlantic 10 wants Butler to join the A10 basketball conference. Speaking of basketball, a Springfield, MA coach was arrested after he bit off the ear of an opposing coach. UPDATE: UMass hoops opens its appearance at the NIT tonight. Watch parties in Amherst. The game is on ESPN2 at 7:00 pm. 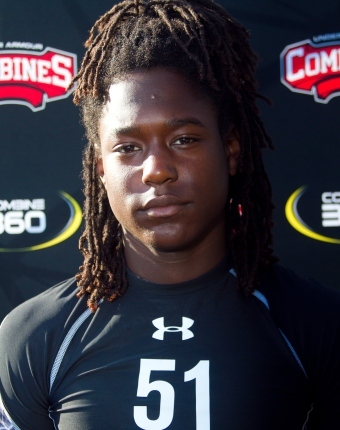 ESPN reports UMass has offered to Shaquill Griffin, a 6-1 183 pd CB from St. Petersburg, FL. Beside UMass, Griffin holds offers from Akron, FIU, South FL and UCF. UMass will be holding its annual Pro Day today. Tyler Holms and Julian Talley will be working out as well as Emil Igwenagu. I've always thought Jesse Julmiste would be a good fit for the CFL. They could not kick away from him due to the huge CFL field. He's still raw because essentially he only played for one year, but he'd make CFL defensive backs look silly. "In the FCS Huddle" ranks Emil Igwenmagu as the third-best FCS offensive player for the draft. This writer says Pro Days can be pivotal for NFL hopefuls. NFL Draft Scout's UMass page. While college football continues to rise, NCAA basketball tourney attendance continues to fall. UMass has added another recruit to its 2012 class as Blake Lucas, 5-10 165 pd kicker from Bleckley HS in Georgia has joined the Minutemen as a recruited walk-on. Article showing his commitment here. Kicking stats and a 4.00 GPA here. The Tampa Bay Times has a article on UMass assistant coach Allen Suber and his impact on UMass recruiting in the Tampa Bay area. "UMass signed the North Suncoast's Co-Player of the Year in Pasco's Trey Dudley-Giles, who could be one of the steals of the 2012 class." My original blog post about Trey Dudley-Giles. Former UMass star John Griffin has been signed to a free agent contract with the NY Jets. I thought Raphiael Putney's shot was going in as it left his hand, but it was not to be as the Minutemen fell to St. Bonaventure. It was still a great run by UMass. Ron Chimelis said that UMass basketball had reconnected with its fan base. Let's make another run in the NIT. The NIT selection show will be at 9:00 PM on ESPNU. Tampa Bay Times reports that UMass has offered to Mitchell Wright, a 6-4 215 pd DL from Plant HS. UMass is Wright's first offer. 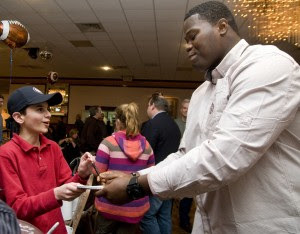 Former UMass star Vladimir Ducasse took part in the NFL's United Way Weekend. A giants football blogger says Victor Cruz was Jerry Reese's best pick. The National Football Foundation says interest and attendance for college football continued to soar in 2011. I had a big day yesterday watching UMass sports. The Minutemen's win over Temple was huge for the program. The Boston Herald has a nice article on the increased unity of the hoops team. CBS Sports said it was a statement win for UMass basketball. Today's UMass game against St Bonaventure will be at 1:00pm on the CBS Sports Network, which is on Channel #152 on Dish and Channel #613 on Direct TV. UMass hockey worked hard against BC, but did not get the win. Could someone who knows more about hockey (which would be just about everyone on the planet) explain why the refs waived off that second period UMass goal? Thanks to the reader who e-mailed me about UMass offering to Alexander Officer, a 6-4 300 pd OT from Rochester, NY. Officer is the younger brother of Jerome Lewis who transfered from Virginia Tech to UMass. 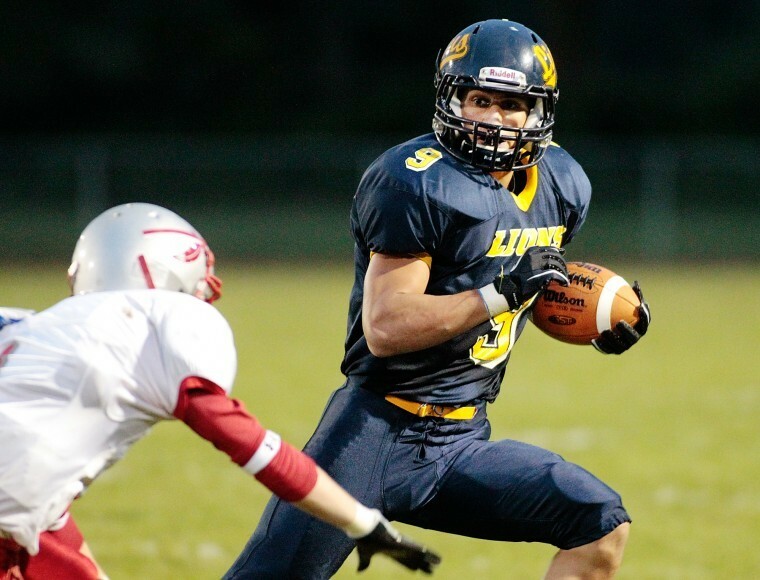 Officer holds offers from UConn, Pitt, Syracuse and FCS Old Dominion. I've blogged about Rohan Blackwood before. The 6-5 195 pd DE/TE has received an offer from UMass. Hernando Today has another mention of the Minutemen's offer. The article also mentions UMass hoops recruit Tyler Bergantino has been named to a Florida Senior All-Star game. Former UMass player Ke'Mon Bailey will be playing for Richmond Raiders PIFL team soon. The article mentions UMass. Philly.com says Temple to the Big East was a tortuous path. Athalon Sports looks at what's next for the Big East. LSU's homecoming queen is trying out for the Tigers football team. Off topic, but here's the CBS Sports preview of today's UMass-Temple hoops clash. UPDATE: Congrats to UMass hoops for their biggest win in 10 years!!! Let's win two more and make the big dance. I've blogged about 2012 recruit Julian Kaminoff once before. The 6-0 180 pd DB signed with the Minutemen in February. His HS paper has a story on his commitment to UMass and some of his 2011 stats. I've blogged about Jovan Santos-Knox twice before. The 6-2 235 pd LB/TE has signed with UMass for the coming year. He scored 34 points in a Connecticut hoops tourney recently. Some recruiting gurus like a basketball background for college football players as they feel it gives the recruit agility and quick feet. Recruiting news continues to come in. I'll have a couple of notes today. In the meantime, have you seen the 2012 ESPN recruiting results for Massachusetts? The Minutemen did pretty good for their first year in FBS. It's also apparent that non New England BCS teams ate Boston College's lunch. Matty V. says UMass and the MAC are still committed to each other. The Cleveland Plain Dealer relates that the MAC does not believe Temple's leaving will not impact the leagues TV contract or bowl game affiliations. The League Commissioner will not speculate on UMass' future. Former UMass star Greg Niland has joined the Arizona Rattlers. Victor Cruz wants to buy his mom a house.